This time of year deicing salt is almost everywhere we walk. Our pet’s paws can become very irritated from contacting these salts. 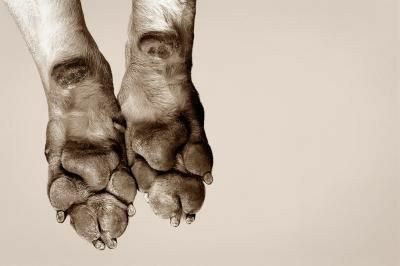 After a walk, wipe or wash your pet’s paws to eliminate these irritations. Rock salt and other salt-based ice melters contain sodium chloride or potassium chloride which can heat up to 175 degrees when exposed to water, ice, and low temperatures. Often these white pellets (crystals) sit on ice and snow surfaces for a long period before penetrating. This presents a danger to pets, children, surfaces, and the environment. Pets—For dogs, in particular, exposure to salt-based ice melters can mean an unhealthy winter and unplanned trips to the veterinarian. The salts get frozen into the dogs paws and fur. When they are inside with higher temperatures, these salts can burn the skin causing ulcers and redness to tissue which can lead to bacterial infections. Dogs can also develop intestinal problems and inflammation of the stomach (gastritis) from licking the salt-based products off their paws. Children—Children come into contact with salt-based pellets while playing in the snow. These products can irritate eyes and accidentally ingesting them can cause stomach problems and kidney damage. Direct contact with the skin can lead to dermatitis, rashes, and blistering. Surfaces and the Environment—Salt residue left over from these products causes permanent damage to pavers, asphalt, concrete, wood decks, floors, and rugs. It later seeps into groundwater supplies or washes into lakes and streams and harms aquatic wildlife. Salt-based ice melters also erode soil, kill plants, burn grasses, and poison birds. This entry was posted in deicing salt on February 27, 2013 by yourfriends. The cold weather is here! Keep in mind that even though our pets have “fur coats” cold temperatures can cause hypothermia and can be just as detrimental as hot temperatures. Hypothermia is a condition in which the body temperature becomes too low for normal functioning. Symptoms of hypothermia can vary from mild to severe. Animals with hypothermia often have violent shivering, slow and shallow respiration, slower heart rate, muscle stiffness and lack of mental alertness. Severe hypothermia symptoms include fixed and dilated pupils, inaudible heartbeat, difficulty breathing, and coma. Animals that are at a higher risk include the very young, geriatric, short-haired, small, wet, and have no shelter during periods of cold temperatures. So be mindful of how long your pet is outside or taking a walk. Stay warm! This entry was posted in hypothermia on February 20, 2013 by yourfriends. Valentine’s Day can be as much fun for pets as it is for humans if dangerous foods, flora and other items are kept out of paws’ reach. Each year our poison control experts see a rise in cases around February 14, many involving chocolate and lilies, a flower that’s potentially fatal to cats. So please heed our experts’ advice—don’t leave the goodies lying around on Lover’s Day. Many pet owners are still unaware that all species of lily are potentially fatal to cats. When sending a floral arrangement, specify that it contain no lilies if the recipient has a cat—and when receiving an arrangement, sift through and remove all dangerous flora. If your pet is suffering from symptoms such as stomach upset, vomiting or diarrhea, he may have ingested an offending flower or plant. Use our online toxic and nontoxic plant libraries as visual guides of what and what not should be in your bouquets. Seasoned pet lovers know the potentially life-threatening dangers of chocolate, including baker’s, semi sweet, milk and dark. In darker chocolates, methylxanthines—caffeine-like stimulants that affect gastrointestinal, neurologic and cardiac function—can cause vomiting/diarrhea, hyperactivity, seizures and an abnormally elevated heart rate. The high-fat content in lighter chocolates can potentially lead to a life-threatening inflammation of the pancreas. Go ahead and indulge, but don’t leave chocolate out for chowhounds to find. Spilled wine, half a glass of champagne, some leftover liquor are nothing to cry over until a curious pet laps them up. Because animals are smaller than humans, a little bit of alcohol can do a lot of harm, causing vomiting, diarrhea, lack of coordination, central nervous system depression, tremors, difficulty breathing, metabolic disturbances and even coma. Potentially fatal respiratory failure can also occur if a large enough amount is ingested. So don’t let pets near treats sweetened with xylitol. If ingested, gum, candy and other treats that include this sweetener can result in a sudden drop in blood sugar known as hypoglycemia. This can cause your pet to suffer depression, loss of coordination and seizures. Don’t let pets near roses or other thorny stemmed flowers. Biting, stepping on or swallowing their sharp, woody spines can cause serious infection if a puncture occurs. “It’s all too easy for pets to step on thorns that fall to the ground as a flower arrangement is being created,” says Dr. Louise Murray, Director of Medicine for the ASPCA’s Bergh Memorial Animal Hospital. De-thorn your roses far away from pets. Giving a cuddly puppy or kitten may seem a fitting Valentine’s Day gift—however, returning a pet you hadn’t planned on is anything but romantic. Companion animals bring with them a lifelong commitment, and choosing a pet for someone else doesn’t always turn out right. Those living in the Manhattan area can let their loved one choose their own cat with a gift certificate to adopt from the ASPCA. If you’re not from New York, check your local animal care facility or take a romantic trip to the shelter together. This entry was posted in ASPCA, Holiday Hazards, Valentine on February 14, 2013 by yourfriends. Woof, it’s cold out there! So how come dogs’ paws don’t freeze up when they pad around on snow and ice – and what keeps dogs from minding the cold? Japanese scientists say they’ve discovered why. First of all, they say in a new study published in the journal Veterinary Dermatology, dogs’ pads contain lots of fatty tissue – which doesn’t freeze as easily as other tissues. And the blood vessels in dogs’ feet are arranged in a way that lets them act like living heat exchangers: arteries in the paws are very close to networks of tiny veins (venules), facilitating the transfer of heat from venous to arterial blood. When a paw is cooled by contact with frozen ground, warmth from the arteries in the paw is transferred to the venules. This helps keep the paw at a tolerable temperature. 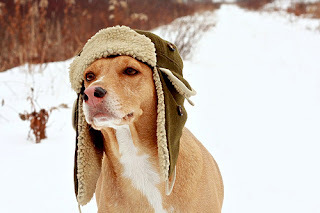 In addition, it warms the blood before it flows back to the body – thus helping keep the dog’s body temperature from falling uncomfortably low. The so-called “counter-current” heat exchange mechanism sounds like a good one, and it’s not unique to canines. 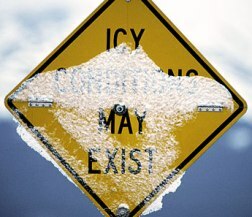 Similar systems are seen in other animals, including penguins and foxes, physorg.com reported. 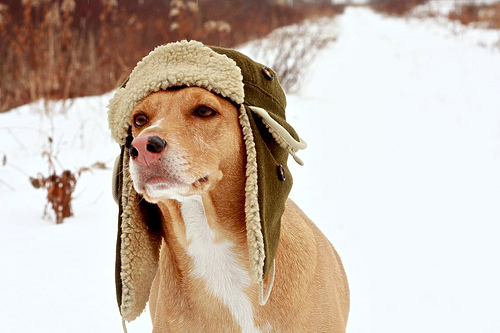 The finding suggests that dogs may have evolved in cold environments. Research has shown that dogs’ feet are protected from freezing even in temperatures as low as -35 Celsuis, according to the BBC. The research, carried out by Dr. Hiroysho Ninomiya and colleagues at Tokyo’s Yamazaki Gakuen University, was conducted with the help of an electron microscope and four willing dogs. This entry was posted in paw pads on February 13, 2013 by yourfriends. Housing: Be sure to provide proper shelter for your pets. If yours is an indoor pet, his bed or crate should be kept in a warm, draft-free area, preferably eleveated slightly off the floor. If your pet is kept outdoors, proved a warm insulated pet house or shelter. The house should be elevated enough so that moisture cannot accumulate insude. If possible, provide a “door” (perhaps of canvas) to keep out the winter winds. If the wind chill or other weather conditions become severe, bring your pet inside. Frostbite: Remove ice and snow from your pet’s paws and coat at once. Frostbitten skin may trun reddish, whit or gray, and it may be scaly or sloughing. If you suspect frostbite, takeyour pet to a warm place immediately. Thaw out frostbitten areas slowly by applying warm, moist towels that are changed frequently. Continue until the affected areas become flushed. Contact your veterinarian as soon as possible; he/she will probably want to evaluate the seriousness of the condition. Snow Removal/Salt: Some substances produced to melt ice and snow have low to moderate toxicity, depending on the ingredients and amount ingested. Read the labels and take necessary precautions. Keep these products stored in tight containers out of your pet’s and children’s reach and be sure to remove salt from your pet’s paws immediately. Antifreeze: Even a very small amount of antifreeze can be fatal. Precautions are necessary with all antifreeze products on teh market. Read labels and warnings carefully. Thoroughly clean up spoills at once. Keep containers closed tightly and store them where pets cannot get to them. Napping Cats: Cats sometimes climb onto vehicle engines for warmth. Before starting your vehicle, knock on the hood and honk the horn. Even ifyour own cat does not have access to your vehicle, a neighbor’s cat might have taken shelter there. Food: If your pet is outdoors, staying warm requires extra calories, so feed your pet accordingly when the temperature drops. Talk to your veterinarian for advice on feeding your pet. Water: Always have fresh, clean water available for you pet. If your pet is kept outdoors, be sure to check his water frequently since it may freeze. This entry was posted in winter advice on February 6, 2013 by yourfriends.